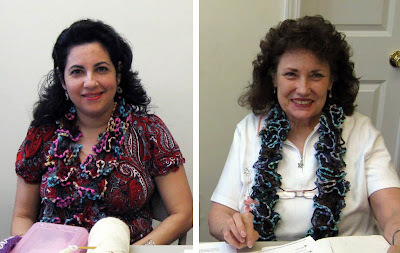 We had lots of fun and laughter at my demonstration on self-ruffling yarn. This scarf is a quick, one ball project that doesn't require a lot of concentration—except for keeping those 8 or 9 stitches on the needles. We used Spectra by Universal Yarn for this fun project. Two of my students model their creations. Left: Marie used Spectra Volcanic. 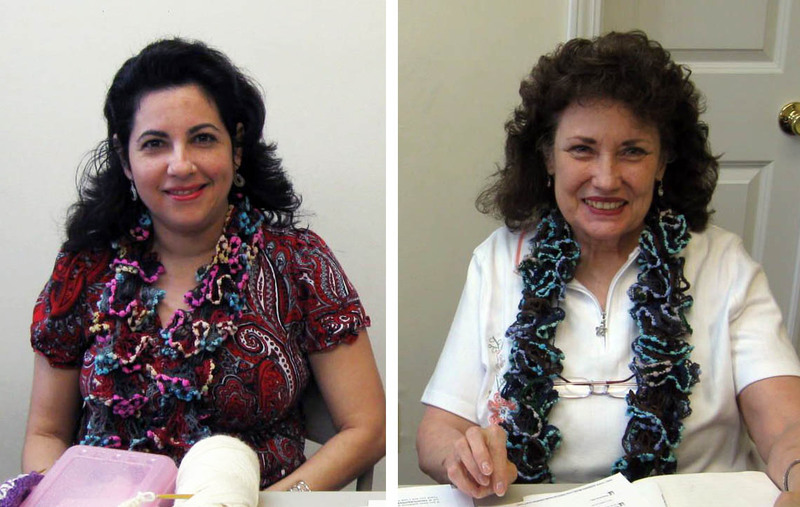 Right: Irene models Spectra Larkspur Glen. 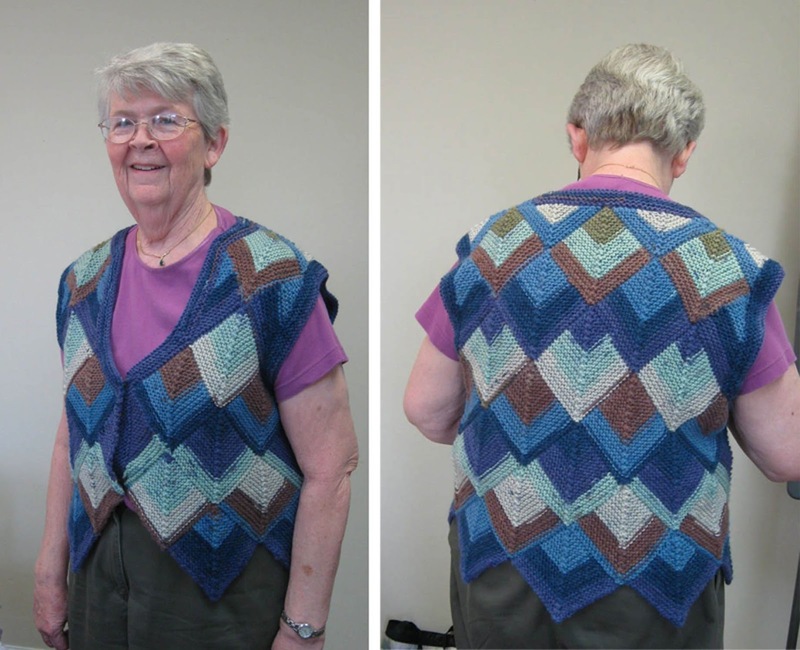 One of the Diamond Girls, Sue, completed her mitered diamond vest, the project she chose in my Mitered Diamond Adventure workshop. She added a knitted band along the collar and sleeve edges of her piece. A hook and eye closure completed the look. It turned out fabulous! Vest from my Mitered Diamond Adventure knitting workshop. My Knitting in the Round students are looking fashionable in their completed Retro Cloches with a knitted flower embellishments. Student projects from Knitting in the Round class. Here are other yarny creations that my students have completed. We love Show and Tell at classes and workshops. Enjoy! 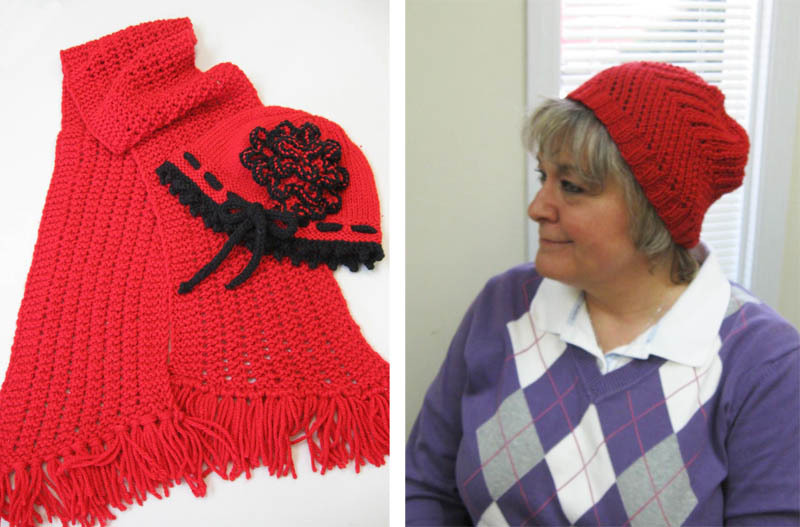 Left: Linda accented a red Retro Cloche from Knitting in the Round with black trim. She also knit a coordinating red scarf to go with it. 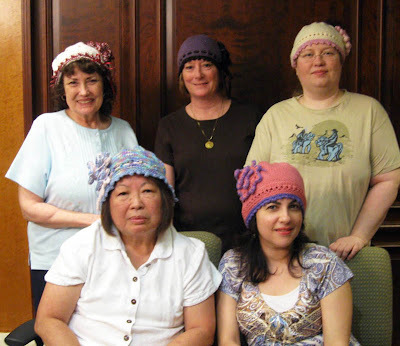 Right: Sharon used a zigzag lace pattern for this cute hat. My talented students have other needle art skills as well. This is a crocheted baby blanket. Lovely! 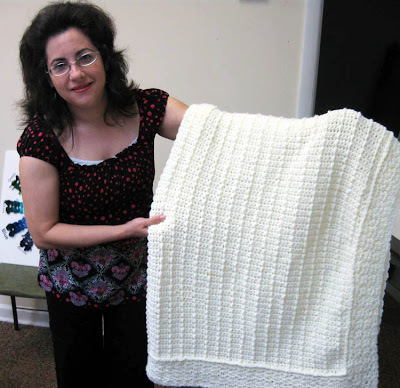 A beautiful baby blanket crocheted by Marie. 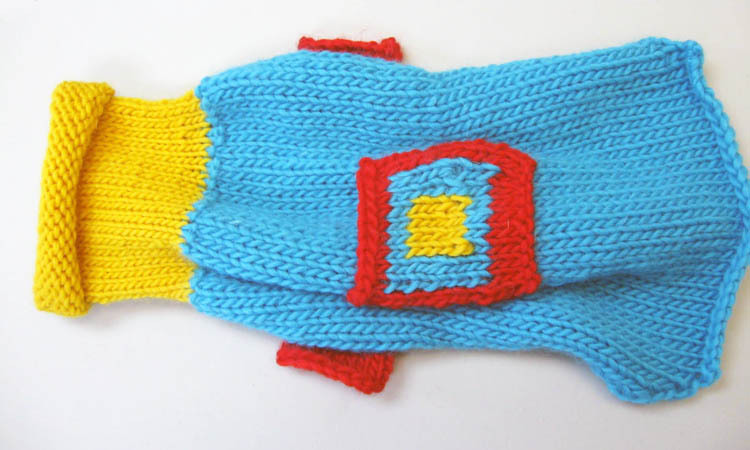 We even knit for our 4-legged furry friends. 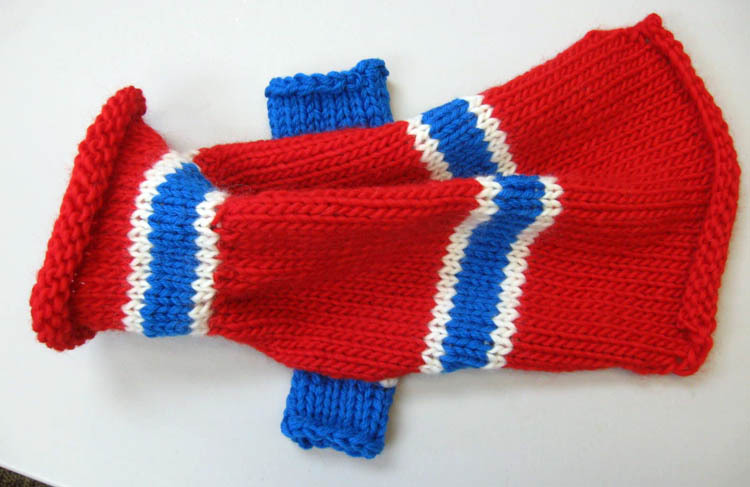 Here are two doggie sweaters, knit by Jane, that any fashion-forward dog would be proud to wear. Jane's colorwork dog sweater. Notice the pocket on the top of this sweater. A sporty striped dog sweater for the same lucky little dog.